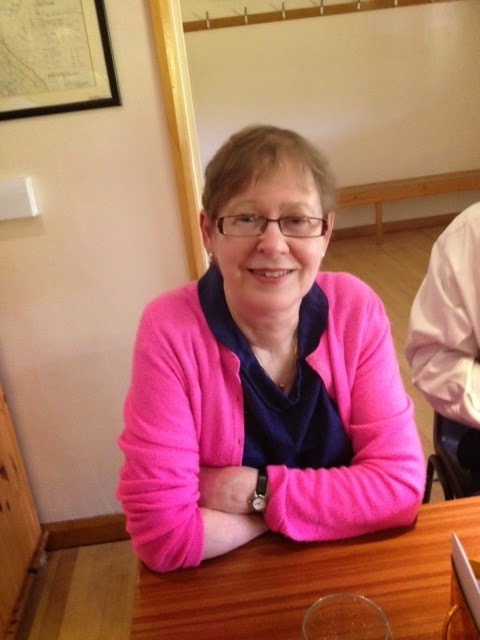 From now on, I'll be blogging at http://www.christinepoulson.co.uk/a-reading-life/. Do join me there. I've got a brand new website, too, at the same address: christinepoulson.co.uk. I hope you'll take a look. I've done it again. I knew I'd enjoy Helen McCarthy's new book, Women of the World: The Rise of the Female Diplomat, so I asked the London Library to acquire it. In due course they did and posted it to me. It's a particular pleasure to be the first reader of a brand-new pristine copy of a book. But not for the first time I made the mistake of not starting it right away. As a new book it can be recalled after two weeks, and it has been, so I had to read all 346 pages over the week-end. I put all my other reading aside and read in odd moments and in bed. Then on Sunday I did something I hardly ever do, except sometimes on holiday. I sat in the garden and read for the whole afternoon. I'm glad I did. This is a terrific book, scholarly and at the same time a great read. 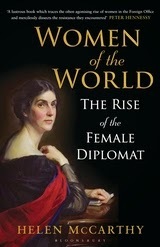 I particularly liked the way it was structured, each chapter began with some important conference or congress, starting with the Congress of Berlin 1878 and ending with the United Nations Conference for International Women's Year in 1975, revealing the way women only very gradually became more present on the world stage. It is extraordinary to realise that women were only allowed to enter the Foreign Office and Consular Service in 1946 and that until 1973 a woman had to resign if she got married. It had been inconceivable that a husband would be prepared to follow his wife from posting to posting and if he did, what on earth would be do all day? He would necessarily be a pretty inadequate, unmanly kind of fellow. It's all here, a thoroughly researched history of the subject, which is never allowed to become dry. There are some fascinating accounts here of women like Gertrude Bell and Freya Stark, who managed to do good work overseas, and many other lesser known but equally formidable women, coming right up to the present day. Diplomats' wives aren't neglected either. Like the wives of the clergy, they were expected to be part of the package, doing huge amounts of unpaid work. I loved Women of the World, but time now to pack it up and send it back to the library so that the next person can read it. 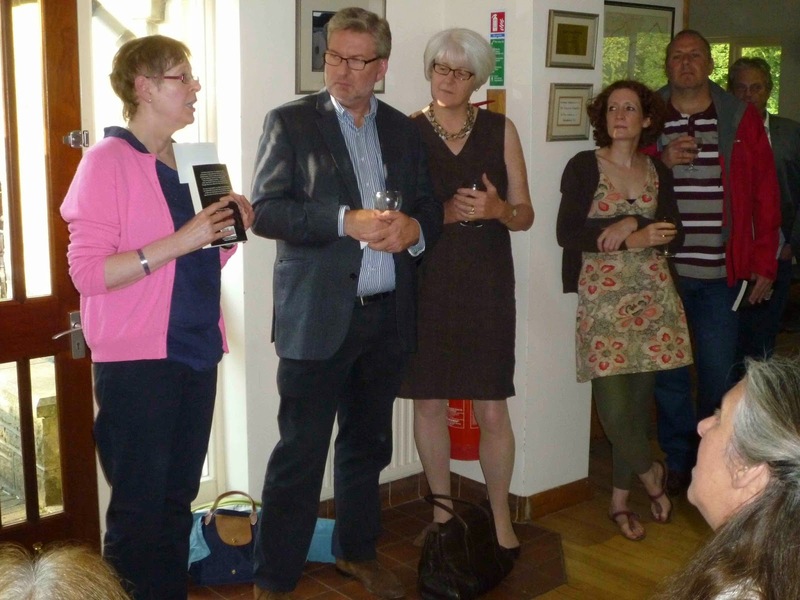 The invitation to the launch of Invisible said 'There will be cake' and there was. Delicious cake and lots of it, made by my kind friends, Jo and Sarah. Here I am, wielding a large knife. It was a beautiful summer's evening. There was plenty of wine - supplied by my hospitable husband. 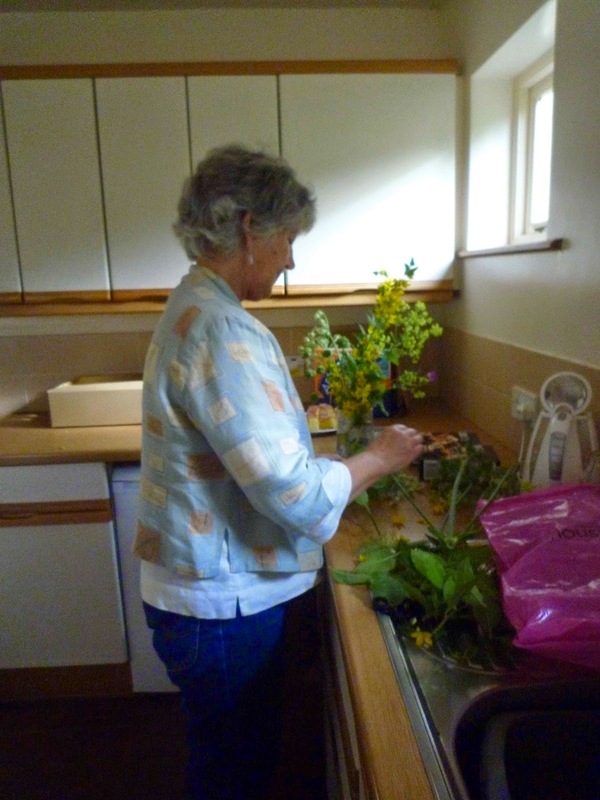 My dear friend, Sue, arranged the flowers (AND did the washing up). 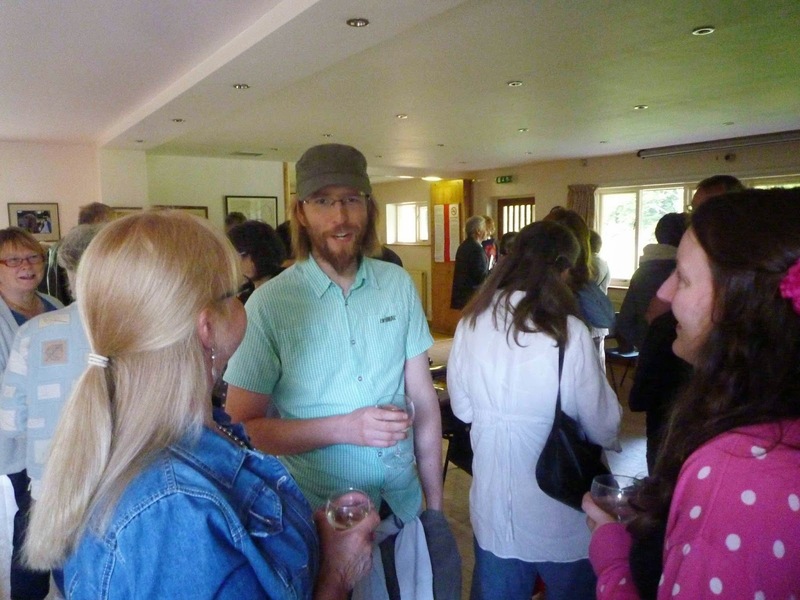 It was lovely to see so many of my family and friends there. 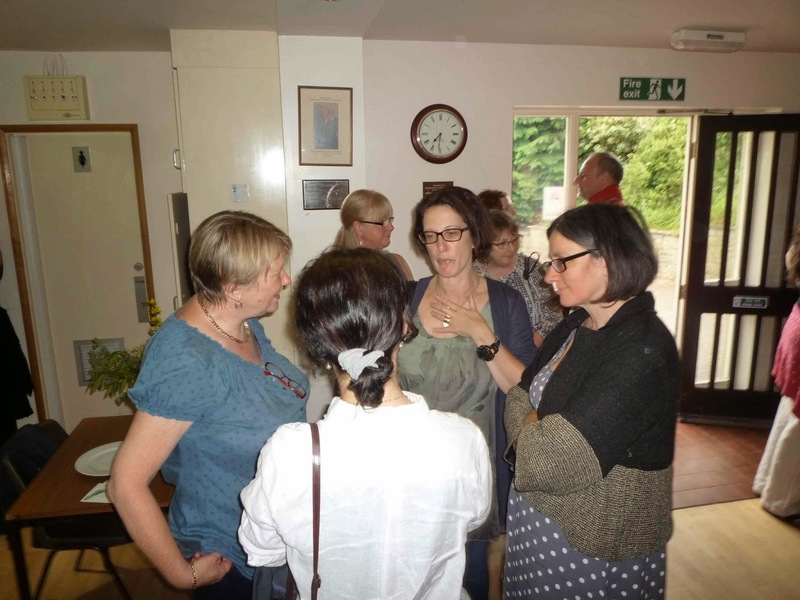 There was a lively buzz of conversation and I enjoyed it so much that I'll have to crack on with the next novel (pretty near completion) so that I can have another party. Last week-end in Birmingham I had free time on the Saturday afternoon and I walked into Bourneville and visited Selly Manor, a Tudor manor house. There was hardly anyone else in the house and I had the charming garden completely to myself. I remembered another expedition over thirty years ago in my Birmingham days. On a sleepy summer Sunday we set out from Moseley to visit Sarehole Mill, an eighteenth century watermill, best known for its literary associations. 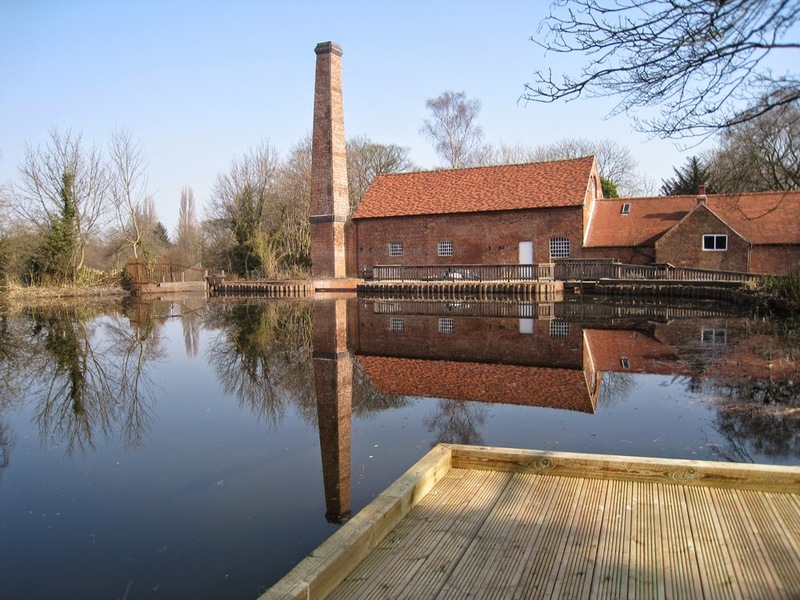 Tolkien spent part of his childhood nearby and used the site of the mill and its surroundings as the inspiration for the Shire in The Hobbit and The Lord of the Rings. It has now been swallowed up by Birmingham suburbs. When I say 'we' I don't actually recall who went with me. I just know that I wasn't on my own. I have a hazy memory of clambering about in the mill, but the thing I mainly remember is that we caught two buses to get there. In my memory it was a real expedition and what what comes back most strongly is a sense impression of waiting for the bus in the sun, as we came home from a pleasant outing. But when I looked up the distance just now on Google maps, it was only two miles from Moseley where I lived to Sarehole! Two miles, and we bothered to catch two buses! I find that puzzling. Did we really do that? And yet it is fixed so firmly in my memory. Perhaps we had my mother with us and she didn't want to walk. Or perhaps it was too hot to walk. What we remember and what we don't remember is a source of fascination to me and is such a fruitful area for a novelist. 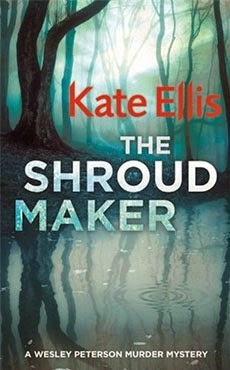 Kate Ellis's new novel, The Shroud Maker (she is so good at titles) has recently appeared in paperback. She kindly agreed to be interviewed on my blog. I began by asking her how she carves out time to write. What is her writing routine? I'm lucky enough to be able to write full time so I do regard it as a job. I try to be very disciplined so I start writing at around 10.30 most mornings (after getting all the routine stuff and household chores out of the way). I take a break for lunch and then work through until around 5 pm when hunger gets the better of me. I use the evenings and weekends mostly for relaxing (and possibly bell ringing or archaeology) - although if I have an urgent deadline I will work then too if necessary. It's different in every book. Sometimes a theme comes first - say obsessive jealousy or a longing for revenge. At other times I'll come across a story from history which I have to write about...or one from the present day which offers tempting murderous possibilities. Of course I know my series characters very well (almost like real people) but the other characters tend to appear in my mind as I'm writing. So often in your novels the present is intertwined with the past. Tell us a bit more about your interest in history and archaeology? History has fascinated me since I was a child. I was never happier than when I was wandering round some National Trust property imagining all the people who'd lived there and how the events of history affected their lives. I suppose my interest in archaeology developed from that. There's nothing more satisfying than digging up an object that somebody in the past actually held and used. They do say that inside every archaeologists there's a detective trying to get out so I've found it quite easy to include it in my books. As I was growing up I devoured the works of Agatha Christie, Dorothy L Sayers and Ngaio Marsh and then I went on to enjoy the books of Ruth Rendell, P D James, Colin Dexter and Reginald Hill. I do love a good mystery and I must say I favour crime novels that aren't too cosy but aren't too graphically violent either - the middle ground where I think I pitch my own books. At the moment I tend to look for books by Peter Robinson, Phil Rickman, Peter Lovesey, Martin Edwards, Ann Cleeves and Christopher Fowler. I also enjoy historical crime by the likes of C J Sansom and Lindsey Davis. I like most bookshops but indies with knowledgeable staff and genuine enthusiasm for books will always do it for me. Many are struggling at the moment and I wish more people would use them (and support libraries, of course). I've just completed my next Wesley Peterson novel - it's called The Death Season and will be out next year. I'm also working on a fifth Joe Plantagenet novel.